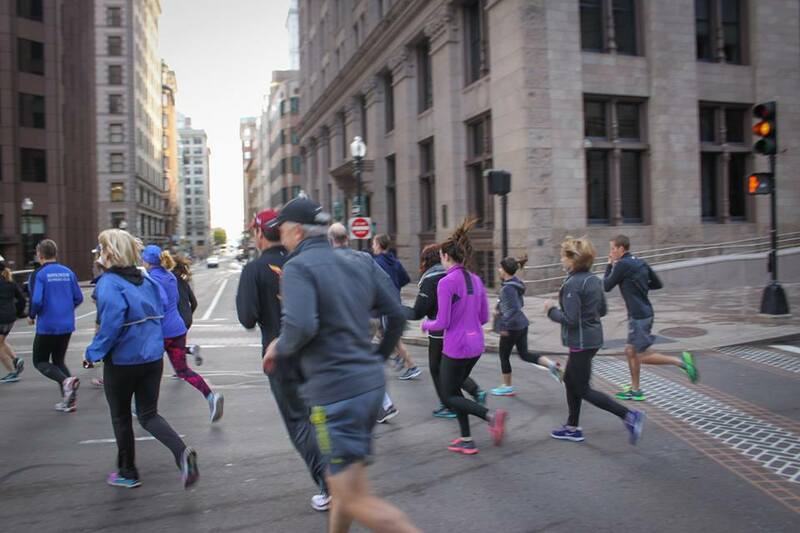 Explore Boston on our 5k run! 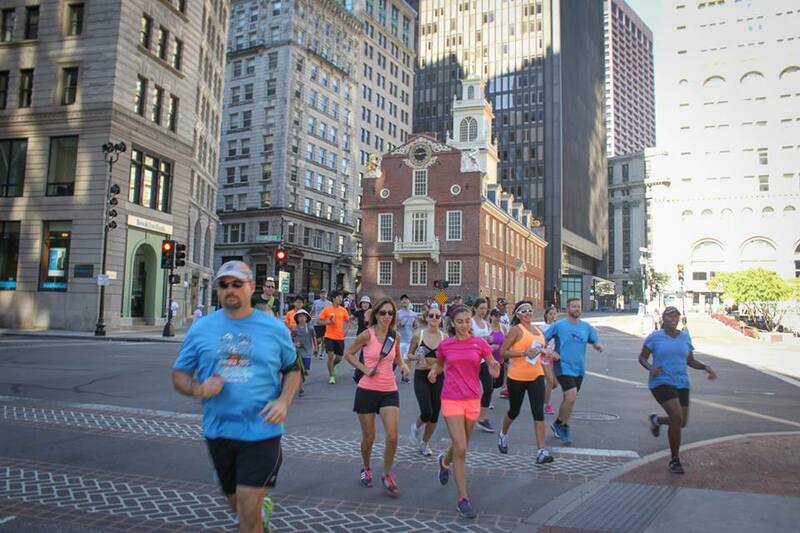 Freedom Trail Run is a 5k running tour of historic Boston. We show you all of the sites while you enjoy a fun workout! Registration is $39.75/pp which includes choice of drink, return harbor ferry ride and a cozy FTR running shirt. Space is limited and most of our runs sell out in advance. If you’re looking for something fun to do in Boston, this is it! We look forward to running with you! 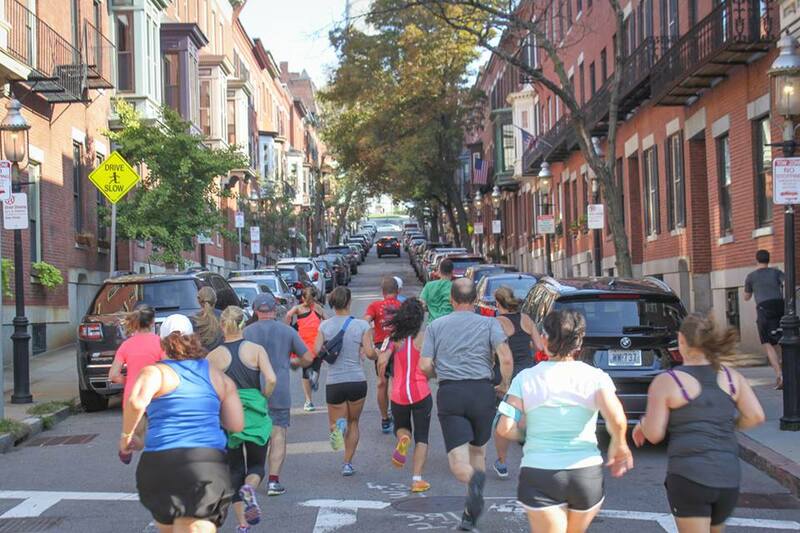 Our run starts on Boston Common and ends at the Charlestown Navy Yard. 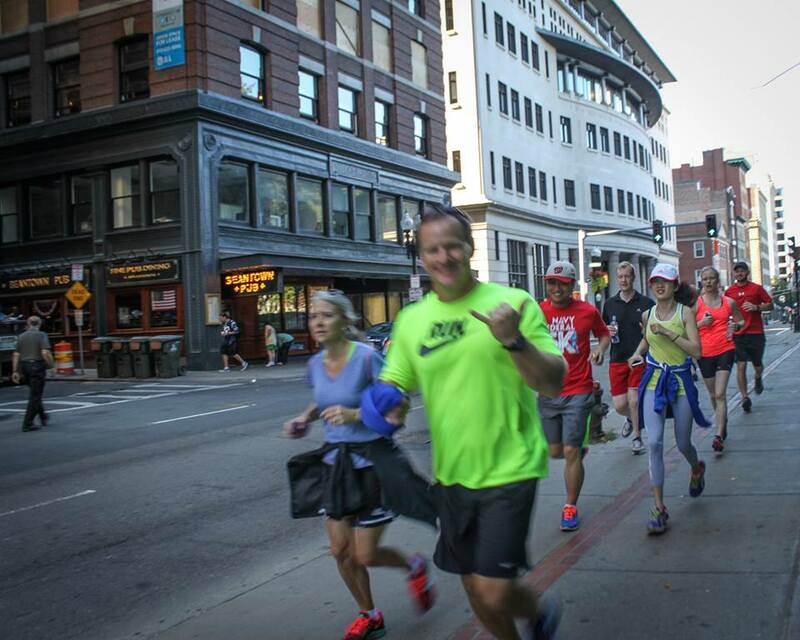 After we finish running, we stop for drinks and hand out t-shirts then take a harbor ferry back to downtown Boston. The entire tour [i.e. the 5k run, stopping for drinks/handing out shirts + the ferry ride back] takes exactly two hours. Lots of high fives at FTR! Paul Revere's ride started HERE! 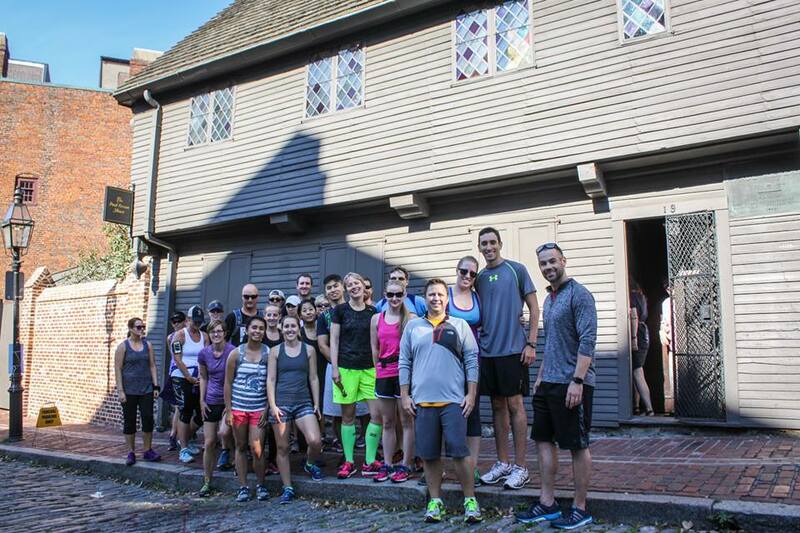 Paul Revere lived here for 30 years! Runners having fun on FTR! The view from the harbor ferry! Vera playing Ben Franklin's glass harmonica! Re-grouping at the Bunker Hill Monument! John Hancock's Second (!) Grave!